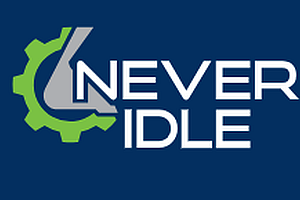 Brookfield, Wisconsin (July 6, 2018) ‒ Never Idle LLC, the contractor-to-contractor rental and sales marketplace, and VeriTread For Business, have announced they are working together to ensure Never Idle’s clients get the best logistics transportation option on equipment deliveries. 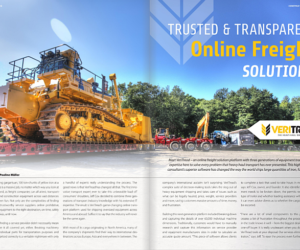 The agreement allows Never Idle to leverage VeriTread For Business platform to arrange hassle-free transportation with trusted heavy haul operators while moving construction equipment between the owner and the renter or purchaser. 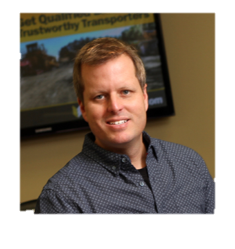 Jeff Cox to be the featured speaker for their webinar: Taking the Heavy out of Heavy-Haul. Lakeland, FL – August 31, 2017 – VeriTread, The Heavy-Haul Marketplace, today announced its partnership with Sumitomo Corporation of Americas (“SCOA”). SCOA together with Sumitomo Corporation plan to underwrite a $2.5 Million third-party allocation of new units for an undisclosed ownership stake of VeriTread. VeriTread is a Florida-based start-up company with products aimed at simplifying the heavy-haul transportation process for both consumers and distributors.